Hello to all die hard Star Wars fans! I've some sneak peek video for you guys! Based on previous entry, I'd updates the highlighted activities for the event. So, here is the story of the day, on May 7th and 8th, 2016. Recently, Legoland Malaysia has held an event the Imperial March from the 501st Legion. For the whole month of May, those children that dressed in full Star Wars™ Costume, you may enter the park for FREE! I was able to witness a real-life Imperial March led by an army of Stormtroopers and LEGO® Darth Vader™ alongside a variety of characters from the franchise, with more than 90 Star Wars™ costumers from Malaysia, Singapore, Thailand, Indonesia, Philippines, Taiwan, Australia & Hong Kong. Seriously it was awesome and amazing! Also, they held the awards ceremony for the My Own Creation (MOC) competition's. Seriously, I'm so glad to be there that time! Special Thanks to Legoland Malaysia and Gaya Travel for giving me a great opportunity to enjoy the most awesome festivals! Not to forget any participate team that make the event's launched successfully! If you guys wonders whose the winners for this MOC competition, please visit to Legoland Malaysia Facebook for further details okay peeps! What more that I'm able to witness? 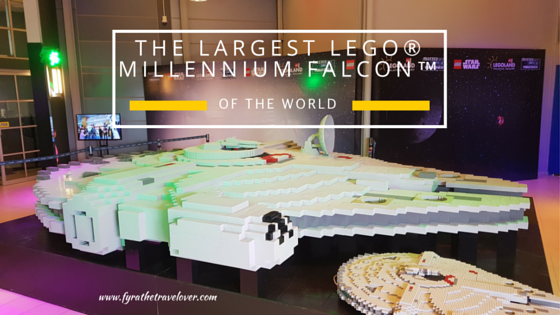 The Largest LEGO® Millennium Falcon™ in the world. If guys still can get enough with the Star Wars fever and you craving for more info, don't forget to visit Legoland Malaysia. Wonder what is the next entry about? It's gonna be the place that I'd stayed for two nights in Johor Bahru. Stay tuned for next new entry okay peeps! Bye for now! Muchaaa~! Welcome to Fyra The Travelover. 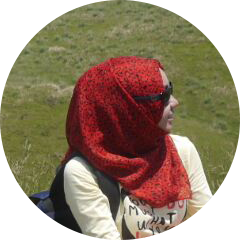 I'm Fyra Sharif - I'm a travelholic. I'm passionate at Beauty, Travel, Fashion. This blog is a place where I want to share all the things I love to you! How to be a part from Air Asia Bloggers' Community?